You might not want to sell or give away your Xbox 360 any time soon. Not without taking a hammer to the hard drive. Even restoring your console to factory settings won't remove some of the data it stores, according to an ongoing study from researchers at Drexel University. And with a handful of common tools, hackers and modders can dig into a system's hard drive and excavate your credit card number or other personal information. Speaking to Kotaku in a phone interview today, researcher Ashley Podhradsky said Xbox publisher Microsoft is doing a "disservice" to its customers by not doing a better job of keeping personal data protected. "Microsoft does a great job of protecting their proprietary information," she said. "But they don't do a great job of protecting the user's data." 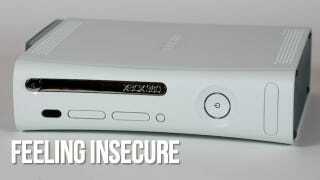 So what should you do if you want to get rid of your Xbox 360 but you don't want your personal information compromised? Podhradsky recommends detaching your 360's hard drive, hooking it up to your computer, and using a sanitization program like Darik's Boot & Nuke to wipe everything out. Just reformatting the system isn't enough. "I think Microsoft has a longstanding pattern of this," Podhradsky said. "When you go and reformat your computer, like a Windows system, it tells you that all of your data will be erased. In actuality that's not accurate—the data is still available... so when Microsoft tells you that you're resetting something, it's not accurate. "There's a lot more that needs to be done."